You’ve probably heard of beer brand Mahou before. The well-known, ‘Spain’s no. 1 beer’, Mahou recently began brewing in Bhiwadi in Rajasthan. 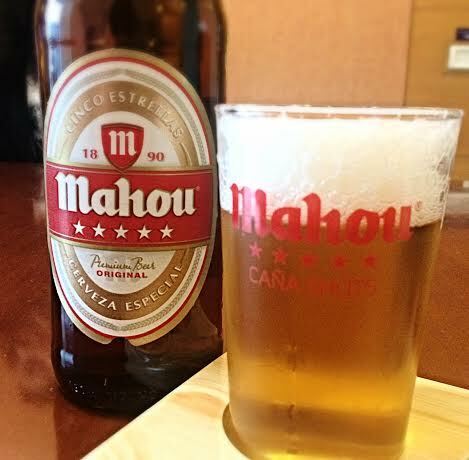 This is the first time Mahou is being brewed outside of Spain, so it’s a biggie! The brewery produces two variants under the Mahou brand – the flagship Mahou 5 star and milder Mahou Clásica. Apart from these, a third beer Dare Devil is also part of their portfolio. Although Mahou Clásica (4.8% ABV) hasn’t been released yet, Mahou 5 Star and Dare Devil are making their way onto shelves across 8 territories – Haryana, Delhi, West Bengal, Himachal Pradesh, Rajashthan, Uttarakhand, Chandigarh, and UP. By the end of the year they hope to be in 13 states but first focusing on North and East Indian markets. So, Mumbai folk are going to have a bit of a wait. I got a taste of Mahou 5 star and Dare Devil a few days ago and here’s what I thought. Appearance: Clear and bright golden yellow. Pours out a creamy and frothy head. Very good lacing. Aroma: Clean, fresh, citrus aromas. Palate: Crisp and refreshing with a soft mouthfeel. Good, smooth carbonation. The rice adjuncts and mild-hops keep the bitterness (usually characteristic of strong Indian beers) at bay. The aftertaste is pleasant with a slightly sweet, starch-y finish. For the moment only 650ml bottles with pull-tabs are available and priced at Rs 150 in Delhi and Rs 140 in Gurgaon. At 6.7% Mahou 5 Star India is more potent than it’s Spanish counterpart, which makes sense since India is more of a strong beer market. I really liked my first taste of Mahou 5 star and thinking of it in terms of an ‘Indian strong beer’ is an injustice. Going by our popular lagers, I think it will work perfectly for the Indian palate. Not to compare but it has the smoothness of Kingfisher Ultra with the crispness of Heineken, and obviously delivers quite a punch. That’s a winning combination in my mind. Get your hands on a bottle and let me know if you agree with my review. Appearance: Clear dull golden. Tons of fast rising bubbles that float to the surface and continue for quite a while. Aroma: Subtle nose. A hint of orange zest, with obvious starch-y note. Palate: A touch of sourness at the onset making way to soft, slightly buttery notes. Soft mouthfeel, lacking a little crispness (compared to Mahou 5 star). Bitter finish with notes of wheat husk and ginger. Very indicative of a strong beer but still balanced and drinkable. Dare Devil has been in the market for a while, brewed earlier at the same brewery but under different owners. Now it has been relaunched after a little tweaking in the recipe and branding. Available in 650ml pull-tab bottles for Rs 110 in both Delhi and Gurgaon. 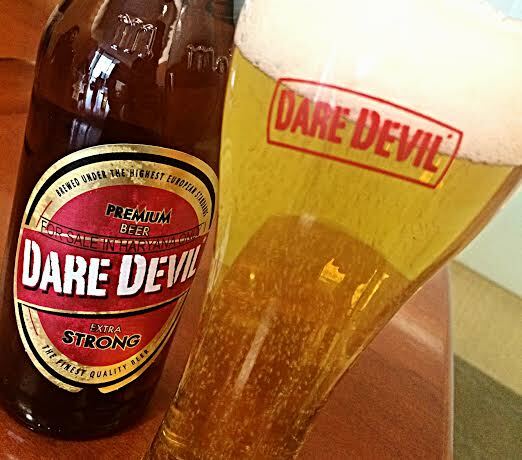 The company is looking to export Dare Devil soon, most likely beginning with the UK. I kwon very good test,market report is very apricietable in North Bengal,siliguri. I’m sitting in QB Lounge in Dehradun (first time here, passing through) and I happened to see Mahou for the first time in India. Your post showed up in the reviews of Mahou and I have to say, nice write-up. I’ve always seen the Spanish counterpart at BevMo back home in California and never got it out of being a typical Spanish/Euro lager. The Indian strong variety of the Cinco Estrella is quite tasty, and not just because the thing was served ice cold or I am if Indian origin. Excellent mouthfeel. My palate is somewhere around 200-300 different beers deep, and I actually appreciate this strong lager. Too bad all the boys on beer advocate talk smack about this one. They should trying the Indian variety. Five Star rating for Five Star Beer. Too good in taste.